This set is a must have for newborn photographers. 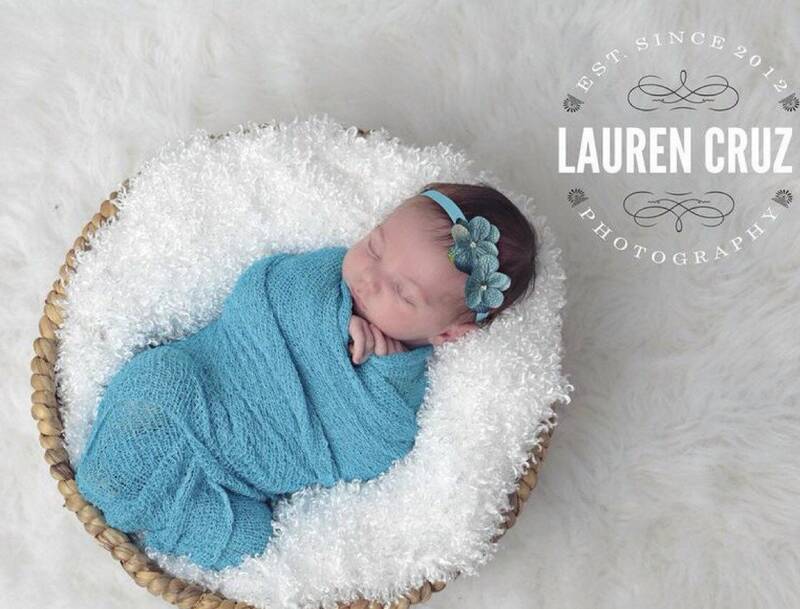 The breathable stretch wrap is loved by photographers because it is really soft and luxurious. 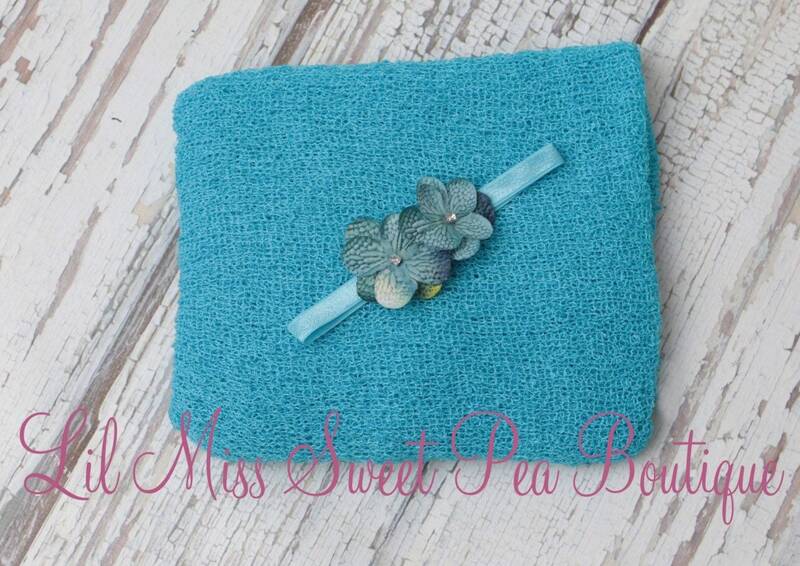 The headband is made of soft stretch 3/8 inch FOE elastic with 2 hydrangea flowers.